IPO Vital Signs is a Web-based system that answers the most critical questions confronting IPO professionals and executives of pre-IPO companies. More than a database, IPO Vital Signs contains more than 190 pre-defined searches--each a Vital Sign. The Vital Signs present information in an easy-to-use tabular format that can be further sorted and ranked or download directly into spreadsheets. Hyperlinks within each table allow for interactive drill-down into the details of every IPO in the system. More than 200 individual details for each firm-underwritten IPO registered with the SEC have been gathered, analyzed and stored. IPOs dating back to 1998 are included. (Includes all SEC registered IPOs, including REITs and non-U.S. IPO filers seeking to list in U.S. markets, except for: closed-end funds; best-efforts, self-underwritten, and direct offerings; and IPOs filing under Form SB-2 with an offering amount of less than $5 million. In addition to a comprehensive profile of issuer and financial information, IPO Vital Signs contains key portions of the IPO Prospectus and supports cross-referencing and comparisons of disclosure language across the full range of IPOs. 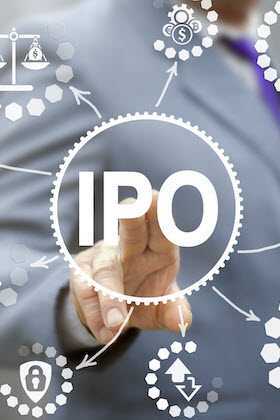 IPO attorneys, investment bankers, accountants, and other IPO professionals as well as CEOs, CFOs, inside General Counsel, and Directors of companies seeking to go public rely on IPO Vital Signs for authoritative and unbiased information on which to base their key decisions throughout the IPO process.